I thought I would start a new series this week called Spark Points. A spark is that moment when an idea forms, when inspiration strikes. Often these come when one’s senses are engaged by something new, like a gorgeous photograph, an astounding piece of music, or a simple poem. Each time there’s a spark point post, I’ll try to include something to read, something to see, and something to hear. Today the spark point is nature. Blossoms on a rainy day near Melrose Hall at Linfield College. I grew up in the sleepy town of Lynnwood, Wash. It’s about 10 minutes north of Seattle, and there is nothing particularly special about it. Nature is visible in Lynnwood, but its the kind of nature I took for granted––pine trees, walking trails, parks, flowers. Having nature everywhere was just one of the many blessings of living in the Pacific Northwest. A tiny succulent installation at a restaurant in Portland, Ore. I was often in Seattle for choir or field trips, and the concrete was always more apparent. I took notice of the nature around me when I was in Seattle because it was not as visible. Seattle has many of the same features as Lynnwood, with lots of parks and trees. But when the skyscrapers enclose you and the only open space is the sky above, trees matter. Sunflowers from the Saturday Market in Lynnwood, Wash. So, I try to have flowers in my home, take walks in the park, and go out to Glacier Rock as often as I can. I’m thankful to attend a school where the groundskeepers work hard to make the natural beauty of the campus even more apparent, even if it is mostly cultivated rather than truly natural. And I try to literally stop and smell the roses (or peonies) as they begin to bloom. Peony from a bouquet of flowers purchased at the Saturday Market in McMinnville, Ore. 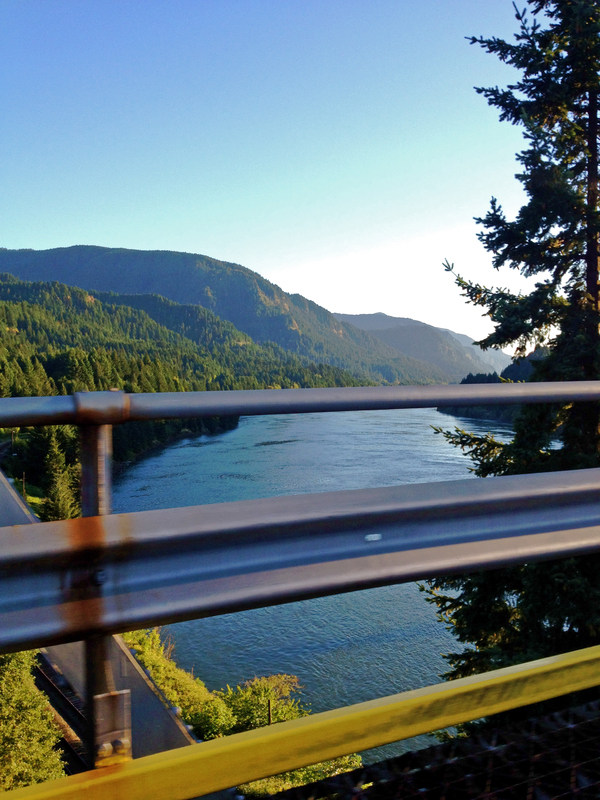 Featured photo taken by me as we drove over the Columbia River from eastern Oregon to Washington last summer. All photos edited in Adobe Photoshop Elements. 23 Mar	This entry was published on March 23, 2013 at 11:01 AM and is filed under Spark Point. Bookmark the permalink. Follow any comments here with the RSS feed for this post. See comments on third and final photo post.